Time for Drum & Bass Cafe! 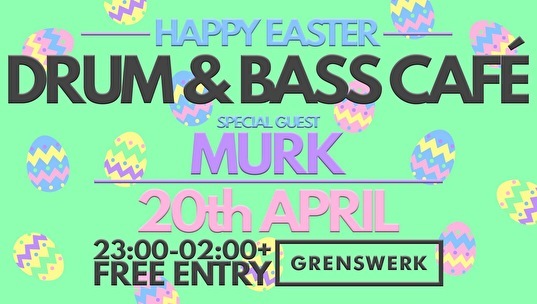 The first edition of Drum & Bass Cafe (almost two years ago) we invited Murk. So here is he again and we will blow you away with the best drum & bass! See you there. P.S. The night ends at 02:00, but if there are enough of you crazy ravers on the dance floor we can extend our end time.